Earn certificates that will open doors for a career in Information Technology. WCCC Adult Education Information Technology courses include hands-on lab time that will provide the opportunity to prove and demonstrate the skills gained before taking the related certification exam. Each individual certification class takes 54 hours to complete. To register, contact coordinator Donald Corbet at 513.933.3939 or Donald.Corbet@mywccc.org. NOTE: WCCC is an authorized testing center for all CompTIA Certification exams. A+ Certification proves that you have a broad base of knowledge and competency in core hardware and operating system technologies including installation, configuration, diagnosing, preventative maintenance and basic networking. Students will learn the basic constructs of programming, including variables, constants, expressions, control structures, functions pointers and arrays, and are introduced to functional, decision-based and iterative processing of data. Network+ certification demonstrates your technical abilities in network administration and support, and validates knowledge of media, topologies, protocols, standards, network implementation and network support. 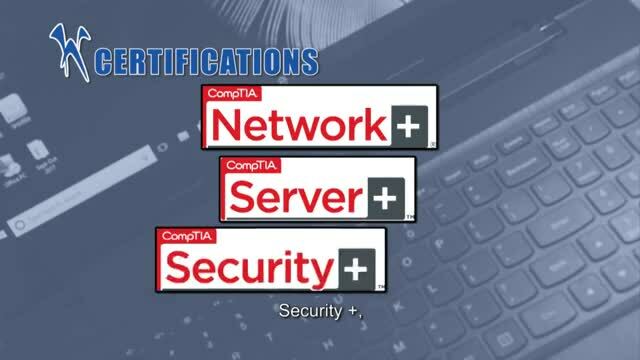 CompTIA Server+ certifies technical knowledge in areas such as RAID , SCSI and multiple core CPU s, as well as capabilities with disaster recovery. Although not a prerequisite, it is recommended that CompTIA Server+ candidates hold a CompTIA A+ certification. Topics covered will be Installation, Troubleshooting, Internet Explorer Security, Firewall Configuration and mobile devices. This hands-on class will provide the opportunity to prove skills gained before taking the Configuring Windows 7 Client certification exam (70-680). Students will learn how to run Microsoft Windows 7 in a corporate environment. They the class will included operating system, such as productivity applications used in a corporate environment and Microsoft Office applications. Students will learn to resolve operating system issues by telephone, email, connecting to an end user's system remotely, or by visiting an end user's desktop. The CCENT will validates the ability to install, operate and troubleshoot a small enterprise branch network, including basic network security. This is the first step to the CCNA. The CCNA certification (Cisco Certified Network Associate) indicates a foundation in and apprentice knowledge of networking. CCNA certified professionals can install, configure and operate LAN , WAN and dial-access services for small networks (100 or fewer nodes). The Internet and Computing Core Certification consists of three areas: Computing Fundamentals, Key Applications, and Living Online. These three areas provide the foundation of knowledge needed for success, and it is a well-respected and internationally-recognized credential that reflects the most relevant skills needed in today's academic and business environments. The Warren County Career Center is a proud member of the CompTIA Authorized Partner Program. The Authorized Academy offers a robust educational program designed to assist in enhancing the learning experience for students preparing for an IT career. 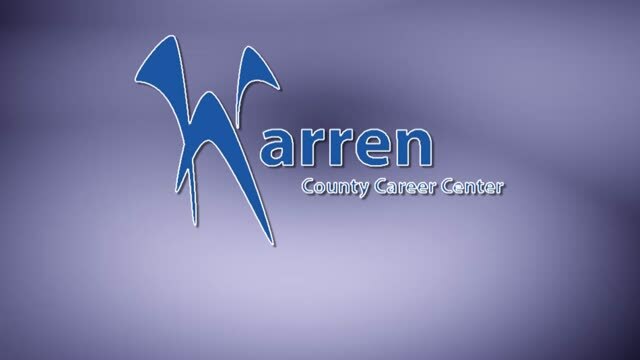 The WCCC can help students acquire the necessary knowledge, skills, and credentials for a successful IT career path. This includes resources to help students choose potential paths of employment, and education on opportunities for long-term career growth. For more information, call Coordinator Donald Corbet at 513.933.3939 or Donald.Corbet@mywccc.org. IT Education That Fits You! 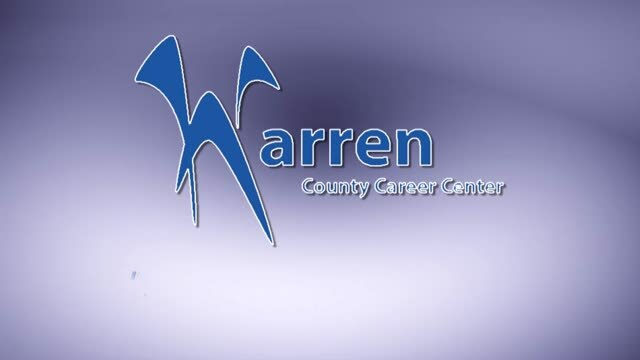 Hear from WCCC Adult Education IT students about their experiences and opportunities. Isaac Dolce enrolled at WCCC upon his younger brother's advice. Malcolm completed the high school Information Technology program this spring. Both are on their way to a great career!